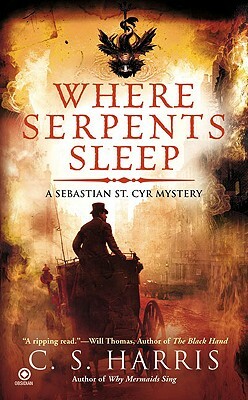 Hero Jarvis, reform-minded daughter of the Prince Regent's cousin, enlists Sebastian St. Cyr's help in investigating the brutal murders of eight prostitutes. Following a trail of clues from London's seedy East End to the Mayfair mansions of a noble family, the two must race against time to stop a killer whose ominous plot threatens to shake the nation to its very core? C.S. Harris graduated with a degree in Classics before earning a Ph.D. in European history. A scholar of the French Revolution and 19th-century Europe, she has lived in Europe and various far-flung parts of the old British Empire. She now lives in New Orleans with her husband, a retired Army Intelligence Officer, and two daughters.